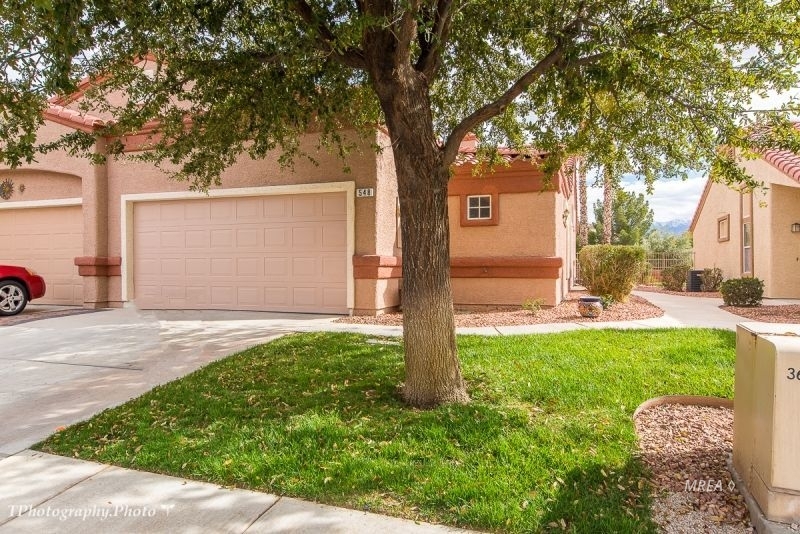 Great Town Home in the gated community of Sunset Greens! This community is surrounded by the Casa Blanca golf course offers 2 pools and hot tubs, miles of walking paths/sidewalks, lots of common areas and hundreds of palm trees. You can even park your RV or 4 wheeler trailer for an extra fee. Golf privileges at the Casa Blanca golf course! Plan 1 has 1251 square feet. Vaulted ceilings, walk-in closet in Master Bedroom. Guest bedroom on other side of the house next to guest bathroom. Fenced in backyard. Pond in backyard.